Creation is at the center of religion, and it is also at the center of a search, not for God, but for the "God particle." 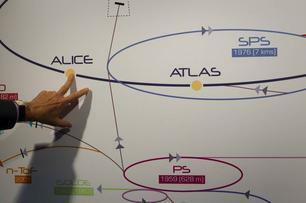 In April rumors began that the $10-billion Large Hadron Collider near Geneva had found what it was built, in part, to find: the elusive Higgs boson, nicknamed the "God particle." It would have been a huge scientific breakthrough, but it looks now that the God particle may not exist after all. "The Higgs really is the Holy Grail of particle physics and that's why this is so important," Phillip F. Schewe, a spokesman for the American Institute of Physics, told Associated Press back in April.